Genea-Musings: Treasure Chest Tuesday -- 1790 U.S. Census Record of the Burges Metcalf Household in Piermont, N.H.
Treasure Chest Tuesday -- 1790 U.S. Census Record of the Burges Metcalf Household in Piermont, N.H. 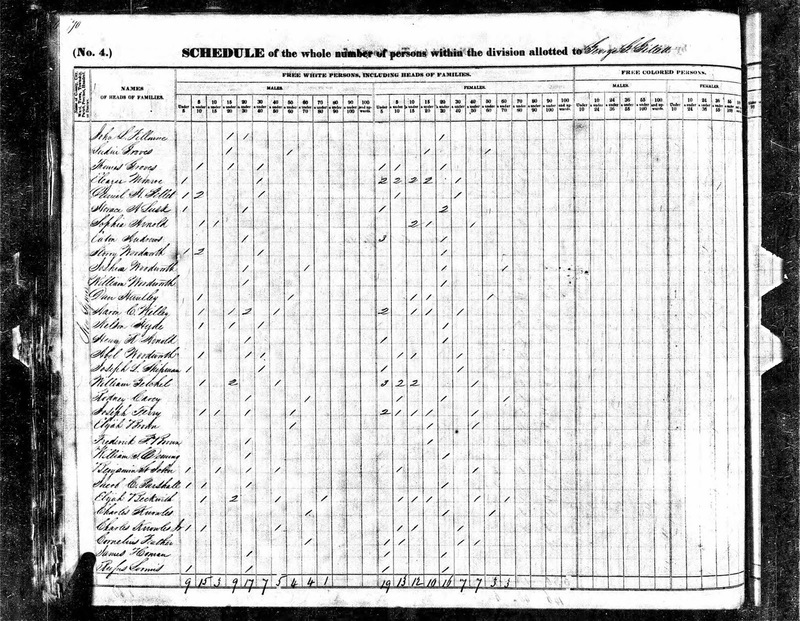 The extra persons may be unknown children, sisters, nieces, or nephews of Burgess and Jershua Metcalf, or household workers. 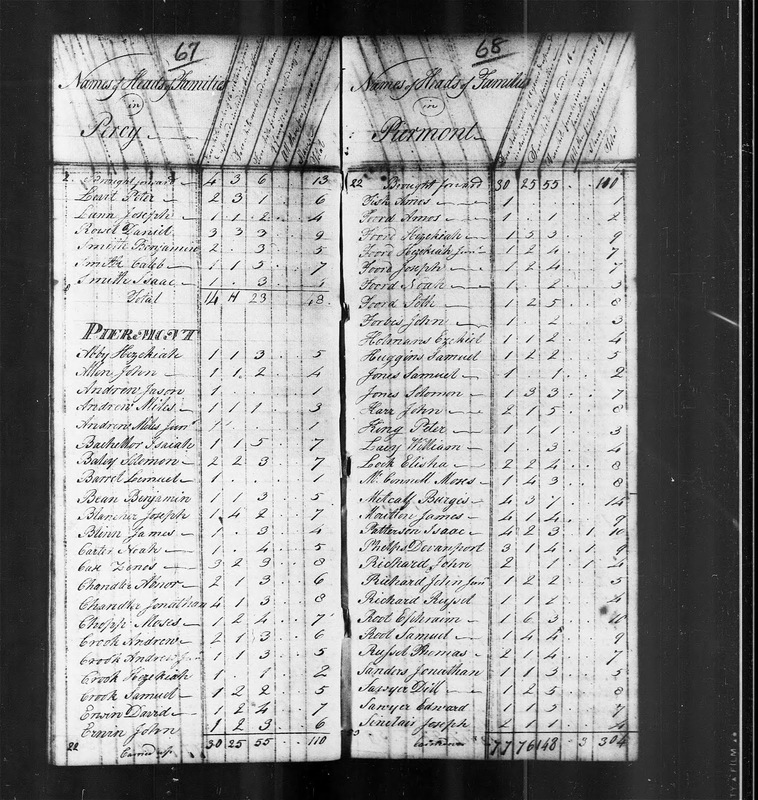 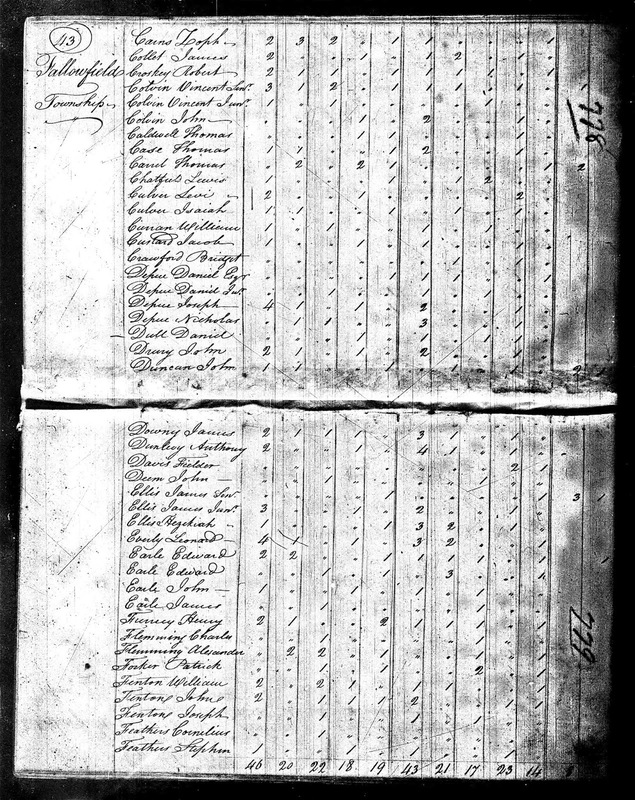 1790 United States Federal Census, Grafton County, New Hampshire, population schedule, Piermont, page 67, Burges Metcalf household, digital image, Ancestry.com (http://www.ancestry.com); citing National Archives Microfilm Publication M637, Roll 5. 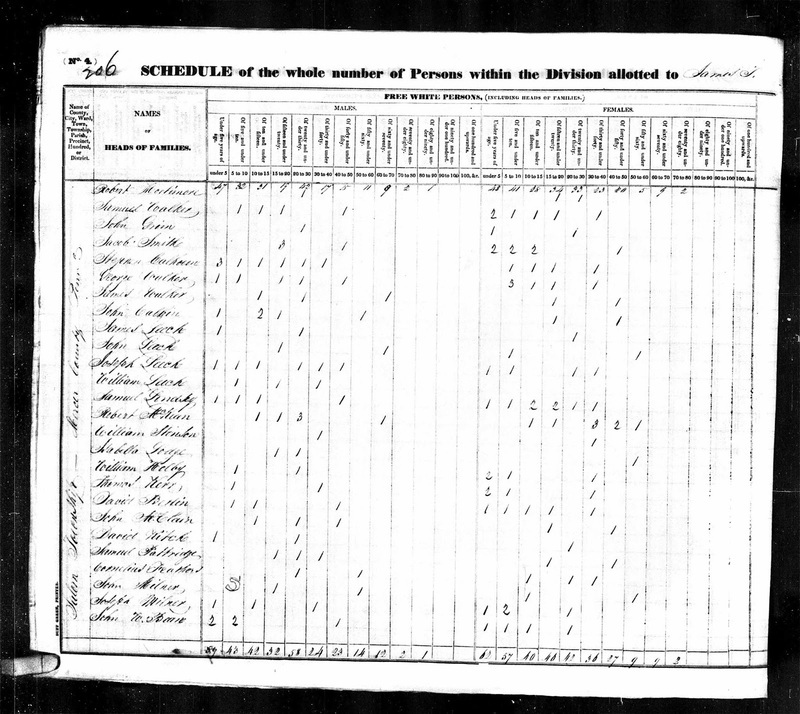 This census record is written semi-alphabetically, so it is impossible to know who the neighbors are. 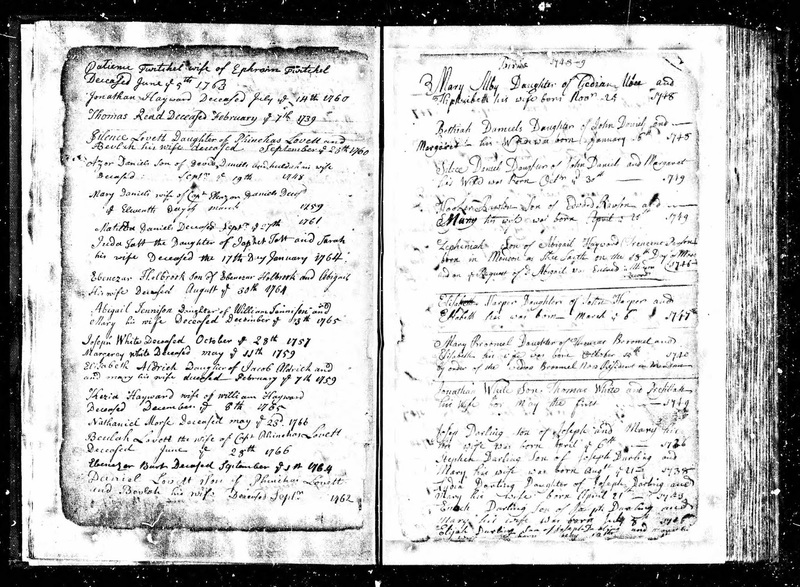 Burgess (1741-1816) and Jerusha (1750-1817) (--?--) Metcalf are my 5th great-grandparents, through their daughter Mary "Polly" Metcalf (1780-1855) who married Amos Underhill (1772-1865).